We love spring! It’s a time to organize and clean, which we’re all about a More Space Place. When it comes to tackling your closet, it doesn’t have to be labor intensive. Use our simple tips to get a cleaner and tidier closet this spring. First, it’s time to clean your closet and clothes. Look at coat and pant pockets and remove any trash like tissues, wrappers, or receipts. Also, look in your bags and along the floor of your closet. For any receipts or other tax documents, use an envelope or folder. If you have a large stack to sort through, put a reminder on your calendar so you don’t forget about them. For baseboards and decorative molding: use a dryer sheet along baseboards to help shine them and keep dust off. 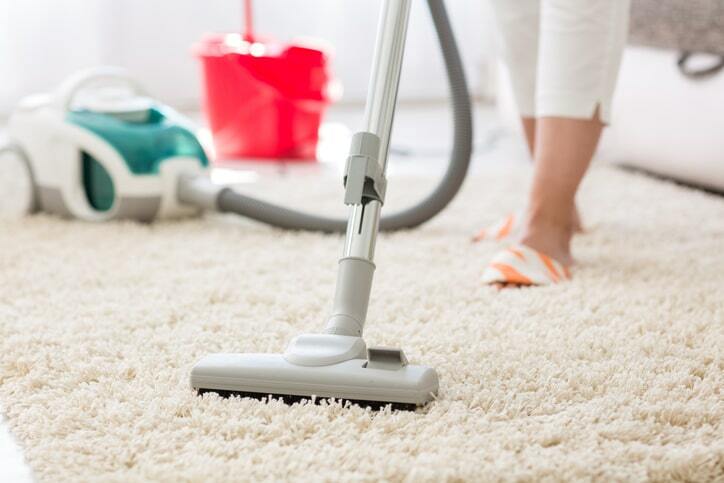 After your initial cleaning, be sure to inspect your accessories and clothes for repairs. 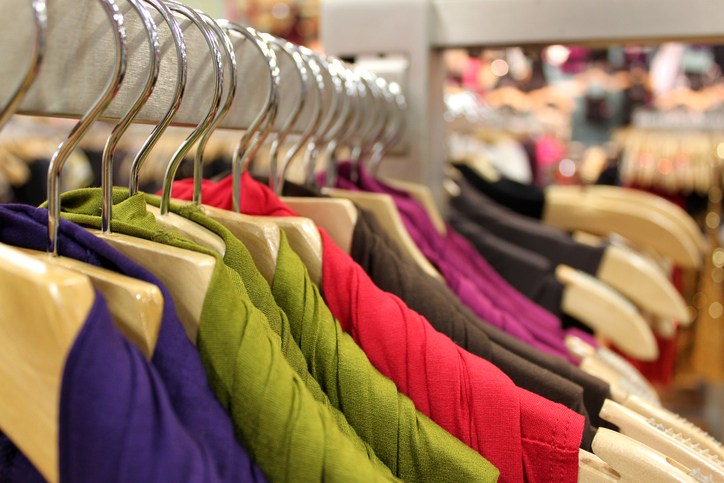 Are there items you need to take to the dry cleaners? What about shoes that could use new soles and a shine? Also, look at wardrobe staples like t-shirts and undergarments. Is there pilling or stretched out elastic? Make a list of items that will need replacing soon. Evaluate your closet system. 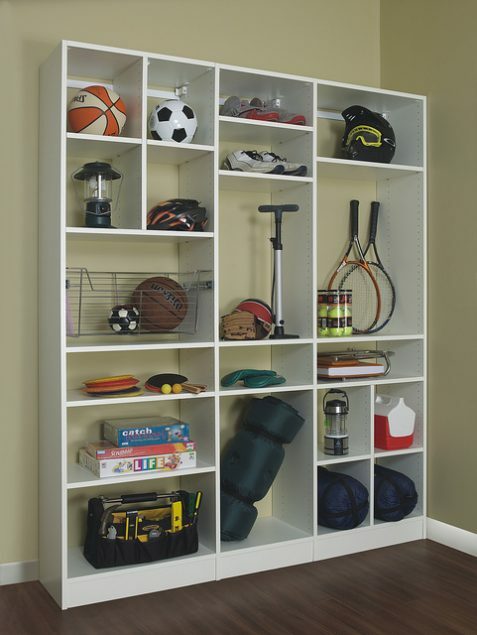 If you are frustrated by the lack of organization, make it better with storage solutions built around your needs. Proper storage for all your items is key to staying tidy. It’s the perfect time to update your wardrobe and pull out spring and summer items if they’re in storage. Be sure to clean items before storing them away. As you inspect and rotate your clothes, declutter your wardrobe. Streamlining or trying a spring challenge can be a fun way to shop your wardrobe, make your morning routine more manageable, and save money! Use different piles to sort what is going to stay, what you want to donate to charity, and what you are giving to friends and family. Make your closet work for you, not the other way around. Get organized this spring and Make Room for Life®. 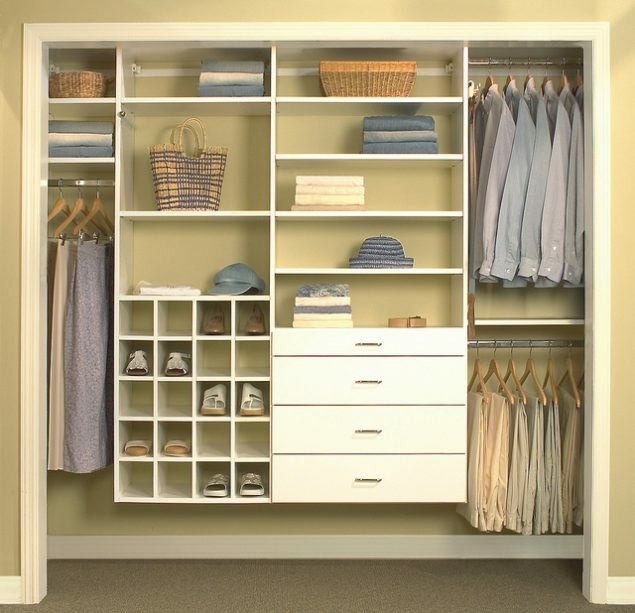 More Space Place is your go-to choice for custom closets and other home storage solutions. Find a local expert near you, and get a free in-home estimate! Photo credits: Top © didesign021. Bottom closet system © More Space Place.